The star of East of Havana, rapper Soandry, is based in Cuba but was recently granted a visa for a short stay in the USA. On his journey though the United States, he is visiting Penn State this Friday for a screening and Q&A on Thursday, November 4, 2010. 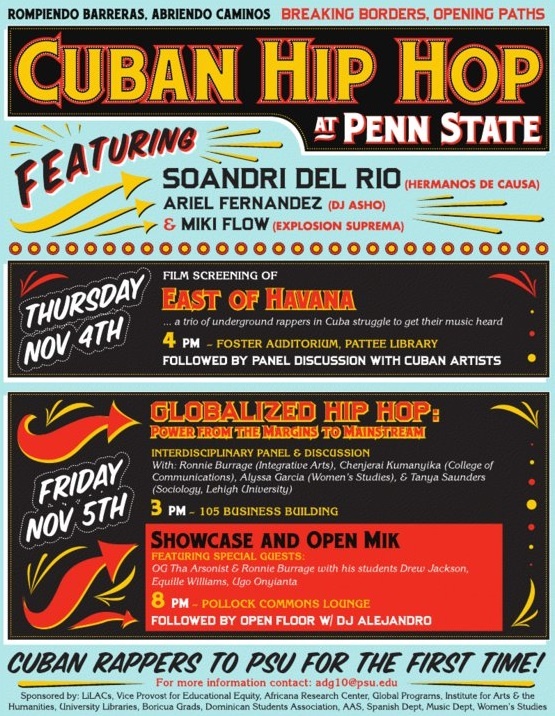 Any college students who are eager to discuss modern day Cuba would deeply enjoy this conversation. Read more info here at Onwardstate.com.